Meet The Blogger #4 : All About The Style. I know I love to find new blogs to read, I am forever scrolling down the categories on Bloglovin searching for some amazing reads. I thought I would start a new blog post that I would like to do weekly, meeting the bloggers behind the blog. I love to find out more about the people behind the blogs, I hope you will too. 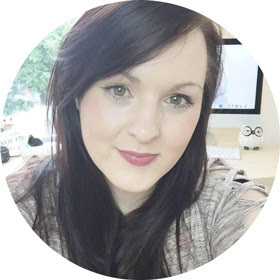 Meet Emma behind the blog All About The Style! 1. 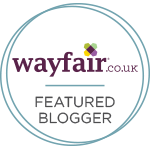 Tell us about your blog? All About The Style Is a Fashion, Beauty & Lifestyle blog, where I share hauls, reviews, new product information, and any other bits and pieces I feel you girls would love to read! I have always been a bit of a makeup hoarder, and absolutely love the fashion world, All About The Style is a place where I can share my passion and knowledge with you all, and just to have a general chit chat! 2. What made you start your blog? Fashion and Beauty has certainly been a passion of mine for years, ever since I was a little – Girl, you know I was that annoying daughter that used to raid all my mums make up and strut around in heels 10 sizes to big for me! I have always had a passion for writing too, so it seemed like the perfect combination. I am actually now studying Fashion Journalism at The London College of Fashion, as I have realized – through blogging – that it is a career I want to go in to. My Inspiration comes from a multitude of areas. I love to read, I pretty much buy every fashion magazine that comes out each month - Guilty! - as well as reading fashion books. I’m currently reading The Beautiful Fall by Alicia Drake, which is all about the feud between YSL & Karl Lagerfield, which is really interesting! I also get inspiration from others, I read so many different blogs and watch countless Youtube videos, most of the time I’m either reading, writing or watching something. 4. What item of clothing or product could you not live with out and why? A certain clothing product that I could not live without would be in no question my black ankle heeled Chelsea Boots. I practically live in them, they are so comfy and I love how they look with so many different outfits. On the other hand, a product I could not live without would have to be my Collection Black Liquid Liner; I have worn black winged eyeliner on the daily for years, so when I don’t wear it I feel like I look so different. 5. What is your favourite part about blogging? My favourite part of blogging is definitely the blogging community, and being able to talk to and share the same passion with so many lovely people. I particularly love the #bbloggers chats on twitter, as everyone comes together to discuss different products or areas within the blogging world. I have to say I also just love writing, and the fact others read my posts is just a bonus to that. 6. What type of blog post do you love reading? I love reading organizational posts – Is that weird? – I love seeing how people plan their blog posts, and stay organized with their blog. I can be a bit of an organizational freak, which is probably why I love reading them. 7. What advice would you give to someone wanting to start a blog? Do it! If you are considering it, or really want to do it but are scared of what others think, just go for it. It is something I wanted to do for ages but was worried about what people would think, but I thought past that and I am so glad I did, I really love blogging and the community, so my advise to you, whether it is a beauty blog, a fashion blog, a DIY blog, anything that you love to write about - go for it. 8. 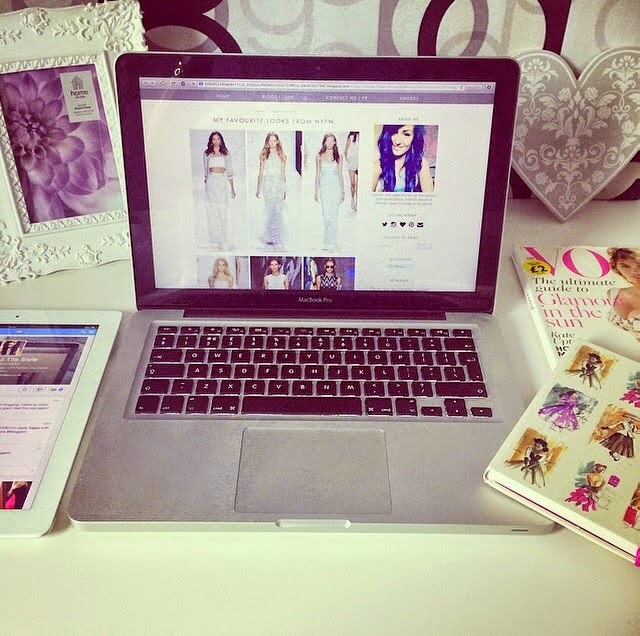 How do you stay organised when blogging? I actually have a post on this, which will be up on my blog soon! I basically have a notebook, which I divided into days. I do it weekly, and plan what post will be up on each day. I then have a page where I write posts I want to write, any ideas that I have, and then a ‘Things To Do’ list. My to do list tends to consist of products I need to photograph, or things I need to update on my blog and so forth. I would love a professional blogging book, but for now my little note pad is working just fine. 9. Where would you see your blog in 5 years time? I would hope in 5 years time that my blog will consist of some really great, original content, have developed my photography skills and (hopefully, although not at all important) have a wider readership following. I would love to be able to include my blog as part of my career, however it being a hobby is something I love to do, and If I have the same passion for it 5 years on I will be more than happy. 10. How has blogging changed your life? Don't forget to share some love over at Emmas blog All About The style!